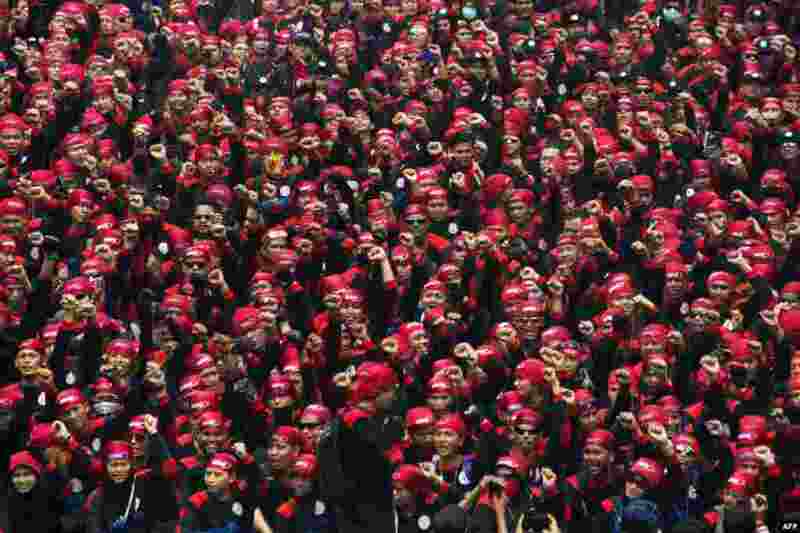 1 About 50,000 workers take part on a rally in Jakarta, Indonesia, demanding wage increases and to abolish the outsourcing system. 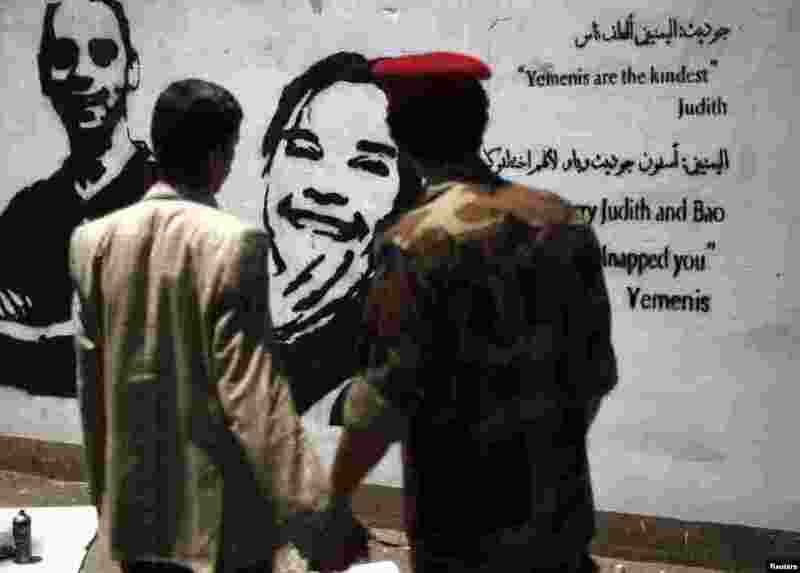 2 A soldier and a man look at a graffiti depicting kidnapped Dutch journalist Judith Spiegel (C) and her partner Boudewijn Berendsen in Sana'a, Yemen. The couple were abducted in mid-June and are still held hostage by their kidnappers. 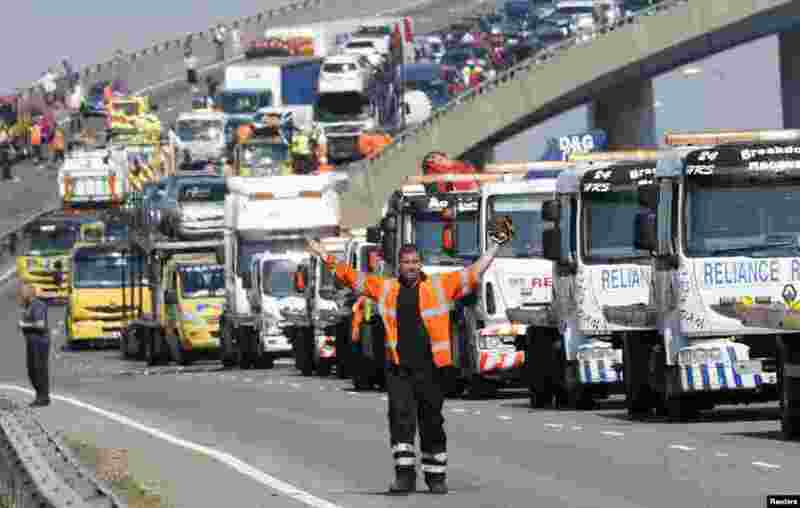 3 A rescue worker gestures in front of recovery trucks lined up to collect over 100 vehicles involved in multiple collisions, which took place in dense fog during the morning rush hour, on the Sheppey Bridge in Kent, east of London. Eight people were seriously injured and dozens hurt in the multiple crashes. 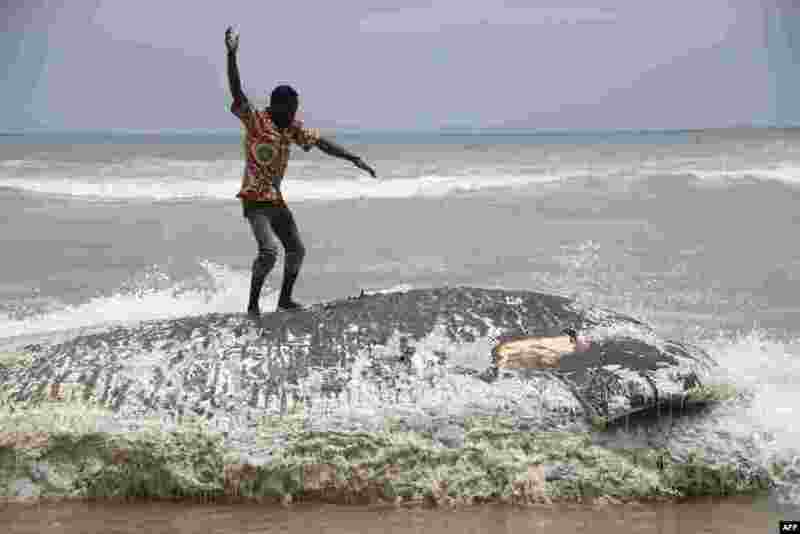 4 A man stand on a dead whale in Kokrobite, a coastal village just outside Accra. Five whales have washed ashore within three days in Ghana.